I just did a total house remodel with Loridon. I added on to my house, redid my kitchen and redid three bathrooms (two were brand new add ons). I cannot say enough good things about John and his crew - and his Office Manager Diana is SUPERB. They are honest, professional and courteous. Not only was my job done in a beautiful and professional manner, it was done TIMELY and in fact, ahead of schedule. Other than weekends, there was NOT ONE DAY when we didn't have a crew at our house working on various aspects of the project. I would recommend them without question! And, if I ever have any home renovations/repairs in the future, I will definitely call on them! I have used Loridon for 2 major additions to my home. I did it in 2 phases and was happy to use them for both phases. From beginning to end everything that was promised was done on time and within budget. There were no surprises and I am very happy with the finished project. The other benefit is John's experience and suggestions. I would and have used them again. 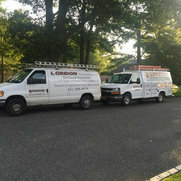 I have used Loridon Builders 4x over the last 17 years and highly recommend them. John and his team are consistently honest and professional. 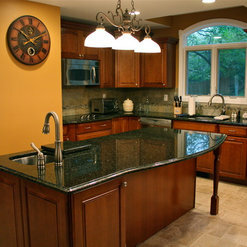 They have added two additions over the years and just last week they finished a major kitchen renovation. I was so comfortable with his team that they had access to my home while I was working. I never had a concern. The house was swept clean every day. They finished on time with excellent attention to detail. I wouldn't even look to hire anyone else. Loridon has my full confidence and satisfaction. I have personally recommended them to friends and family and everyone has been very happy. John is a pleasure to work with and kept me informed every step of the way. Diana in his office is great to work with. She always got back to me and was a great source of information for me. 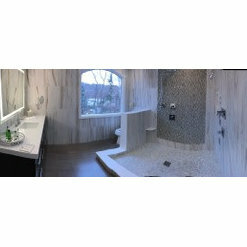 I look forward to our next project a new bath! When I'm ready I just make one call to Loridon. Thanks John, Diana and all the crew. We couldn't be happier with the work we had done by Loridon. They were all very professional, courteous, and take pride in their work. I would highly recommend Loridon. 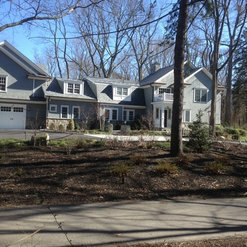 Thank you Claire & George for the allowing us to work on your home & for the kind words. Your review and referral of family & friends is the best compliment we could ask for. 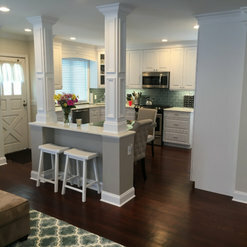 Enjoy your renovated home! JOhn and his crew were a pleasure to work with. HE had wonderful ideas, the workers were respectful, I had no problem leaving my home in their care, they worked continuously day after day until each job was done, and cleaned up daily, One job lead to many others and I would - and have - recommended them to others . We did a garage conversion. The crew was very nice and worked hard. They cleaned up after the days work . We would definitely use Loridon again. We love the work they did. All of the people from electrician ,plumber and other workers were very nice and did good jobs. They were very conscious of their work . 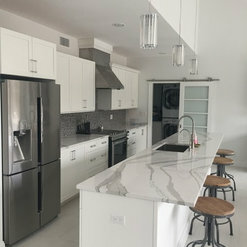 I first hired Loridon over 2 years ago to remodel my kitchen , on a recommendation from a close friend whose kitchen they had done . I couldn't have been happier with the outcome ! 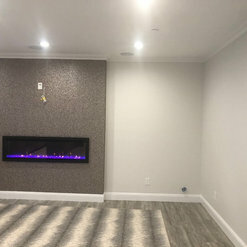 John and his crew were so great to work with that I hired them again last year to remodel my garage into additional living space , again couldn't be happier. 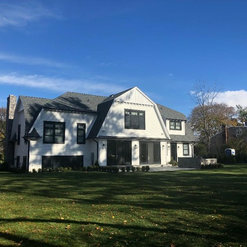 They are now currently working on my upstairs renovation ( turning a vary large room into 2 smaller bedrooms and bath )and downstairs bath renovation , and are way ahead of schedule. 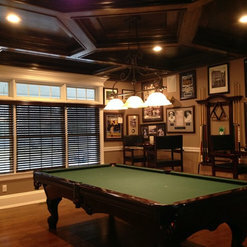 I left the layout of the upstairs totally to John and love what he came up with . They are the best . The office manager Diana is great to work with as well , she sends us emails with updates and what will be going on and when . I highly recommend them! We have worked with Loridon on 4 different home project, the first being over 10 years ago. We are planning on using them again this year for another project. John Geronimo and his team of contractors are the best in the business. 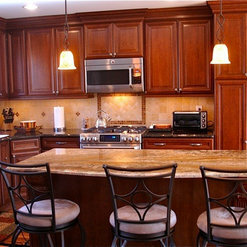 We have used Loridon for a bathroom remodel and a kitchen / living room / dining room remodeled into a kitchen / great room. His level of expertise and attention to detail are second to none. I've heard horror stories of people being without kitchens for over six months!! Loridon gutted the place on November 2 and I was entertaining by Christmas. (I highly recommend that time of year - gets you out of cooking for Thanksgiving!!) John's experience, along with his AWESOME office coordinator Diana, allows him to meet or exceed deadlines, keep within the budget (the only increases are based on customer upgrades), and provide insightful design ideas. He and his crew are not afraid of challenges and will find a way to get it done, and get it done well. I have recommended Loridon to friends, family and even strangers and everyone has been more than pleased. John from Loridon was our last bid. From the moment he looked at our plans we knew he was the one for the job. We had total confidence! It was just like the Line- save the best for last! It was a total transformation . We made a contemporary home totally traditional. All his workers were great. We felt like it was white glove service. We also were tarped for 10 days with monsoon rains. But John handled it all perfectly. Him and his team are all extremely talented. Not only did they build us a beautiful home but their detail with azek is beautiful! We are just about to rip out our existing sidewalls on the inside staircase and add a railing and moldings and because it Loridon we have total confidence. We would have total confidence to recommend them for any size job - because it will be aggravation free! Also- John has Diana who is the go to person for all your needs. She is amazing and a real take charge person! We couldn't have been happier with the workmanship and all the workers! My husband was expecting this construction to be a nitemare and it was just the opposite! It was a grea experience Again ... we couldn't be happier! Again- we owe it all to John from Loridon planning and design! 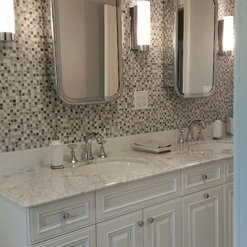 Commented: Who is the manufacturer of the shower doors?CR Laurence co., Inc is the manufacturer of these doors.